The level of technological advancement in the previous decades indicates that surgeons are better off anticipating an exponential rate of development, rather than the more steady pace of improvement of the 20th century, said Dr. Domenico Veneziano during his talk on the third day of ESUT18-IEA. Dr. Veneziano’s talk was a good match for the meeting that prides itself on showcasing the very latest in uro-technology. Indeed, over the course of three days, delegates were treated to more than twenty live cases, some of them broadcast from China, India, Brazil and South Korea. Two dozen unique and rare pre-recorded cases were used to complete the surgical component of the programme, which also featured hands-on training, more conventional expert lectures and a round-table discussion on avoiding laparoscopic and robotic complications. Veneziano invited the audience to consider thinking of these developments as occurring on an exponential scale, each ‘disruptive’ development changing the playing field and yielding further new developments. One example where computing power is already aiding urologists can be found in the machine learning that allows for highly accurate renal segmentation. “Malignancies can already be judged at a 50% greater accuracy by algorithms than a human observer,” Veneziano declared. Citing some estimates on the rate of the development of artificial intelligence and the prospect of computers taking over human tasks, jobs like truck driving and even writing (!) are already under threat in the coming two decades. By 2053, AI is considered to be so advanced as to replace surgeons. By 2060, it is expected that all human tasks can be performed at the same level or better. 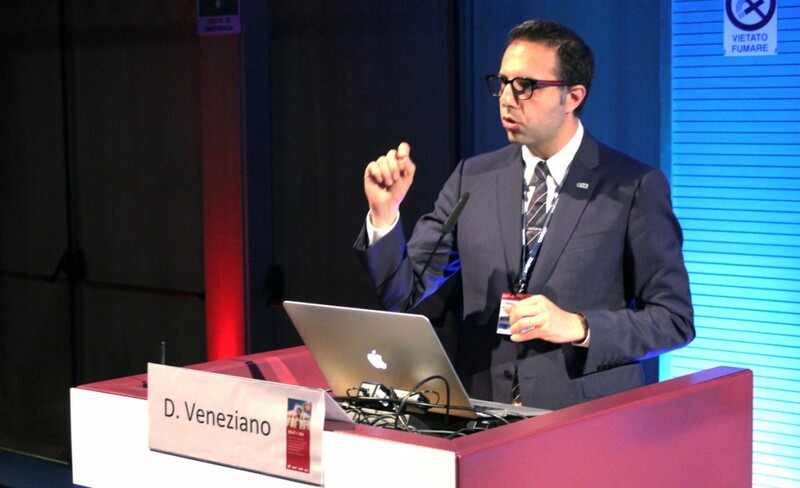 While approximately 80% of the scientific programme in Modena consisted of live or prerecorded surgical cases, Saturday morning offered delegates some lectures that highlighted the current state and future of technology in urology. IEA Chairman and meeting host Prof. Bianchi gave a talk on the combination of advanced 3D-modelling with in- and ex-vivo confocal microscopy, a topic that echoed the live procedure he performed the afternoon before. With real-time Cellvizio scanning by Dr. Alberto Breda, Bianchi performed a robot-assisted radical prostatectomy with PrECE nomogram and ex-vivo confocal control. The procedure was considered a highlight of the live surgery programme. Other lectures on Saturday morning further covered ex-vivo confocal laser microscopy (pathologist Giovanni Pellecani), the importance of removing residual stone fragments (General Secretary of the SIU Urolithiasis Club Domenico Prezioso) and the current state of medical treatment for BPH (Vincenzo Ficarra).